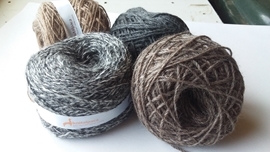 knitalpaca yarns are created from quality Australian alpaca. Spun for us by a specialist fibre mill, our yarns are grown and entirely produced in Australia. They are luxuriously soft and prickle free. 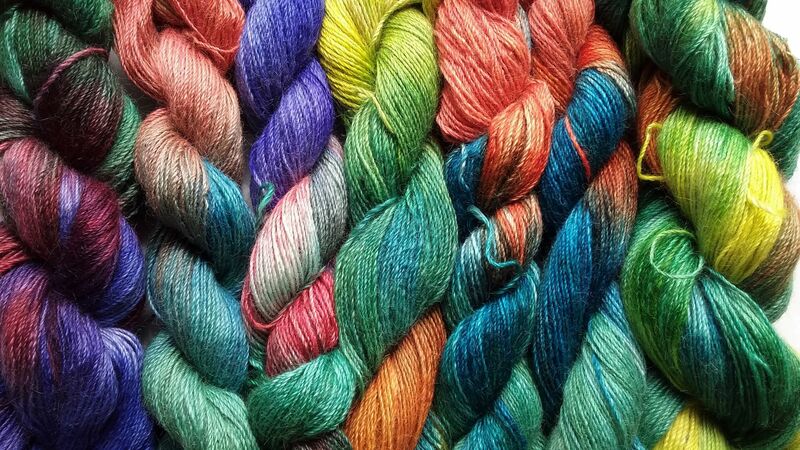 With the exception of our unique ‘Colouratura’ hand dyed suri and new yarns ‘with a twist’, yarn colours are entirely natural: no dyes are used in these yarns. A soft handling 8 ply yarn spun from huacaya alpaca with up to 20% dyed merino to add a subtle colour. An all Australian blend of soft alpaca with around 30% mohair from Angora goats. ‘Argenta’ has a soft, silvery haze when knitted up. Equivalent to 6-8 ply, and great for jumpers, wraps, blankets. Colours are all natural. Beautifully soft, 4ply equivalent blend of alpaca and cashmere, ‘Cashpaca’ is the latest addition to our luxury natural fibre range. 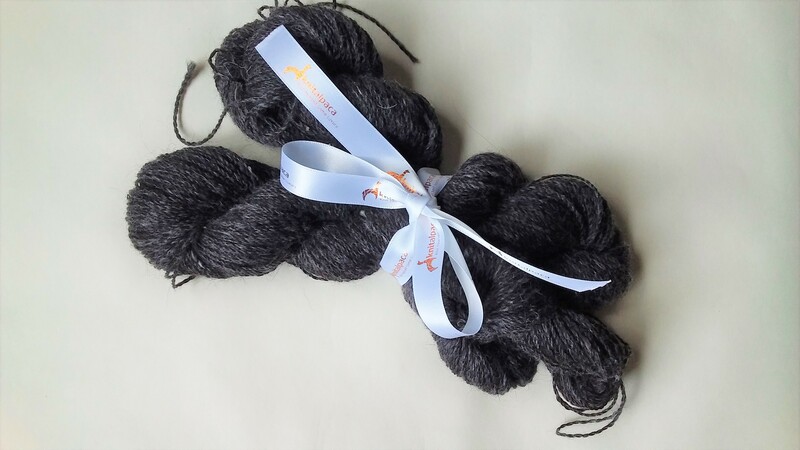 Comes in 50g skeins in natural steel grey. Stocks are very limited. Each 100g skein measures approximately 350m and is enough for two scarves or a luxury wrap. Equivalent to 2-3 ply. When you feel this yarn you’ll find the name says it all! 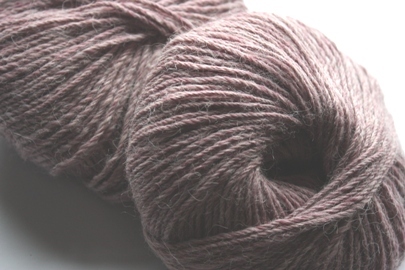 Softa is a fine, 100% huacaya alpaca yarn spun from the first fleeces of cria or baby alpaca. A wonderfully soft yarn for lace or baby knitting, as well as for scarves and garments with great drape. The colour is entirely natural: no dyes are used in this yarn. Real luxury! Fine yarn spun from 100% lustrous, silky, suri alpaca. The rarity and wonderful feel of suri makes this a very special yarn. A wonderfully smooth yarn equivalent to 6-8 ply in 100% huacaya alpaca. Luxa is a most versatile double knitting weight yarn.